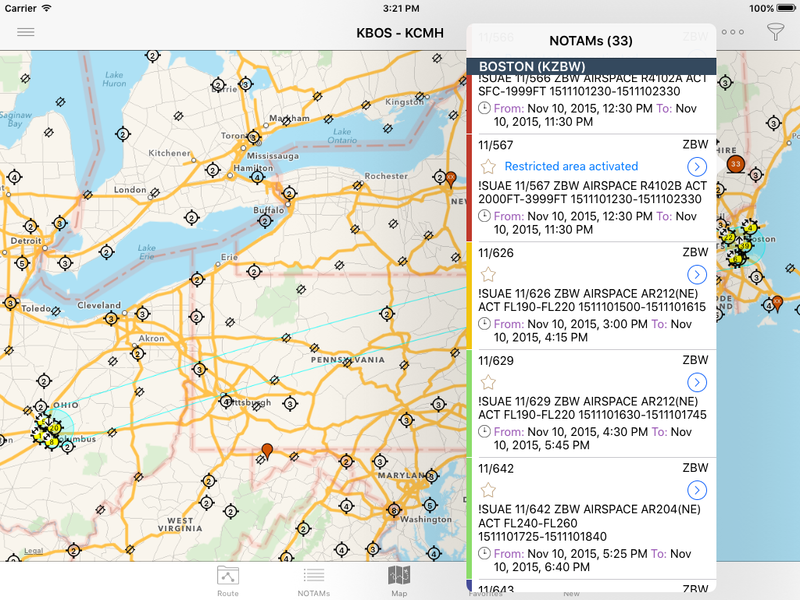 Our latest app lets you easily access and consult NOTAMs either lists or directly on the map. NOTAMs can be bookmarked for later reference and shared by mail, message, or social media. Alerts can be defined for airports and FIRs in order to be notified hours (between 1 and 48 hours) in advance before a NOTAM becomes effective. Look at your route’s NOTAMs or for any airport shown on the map.